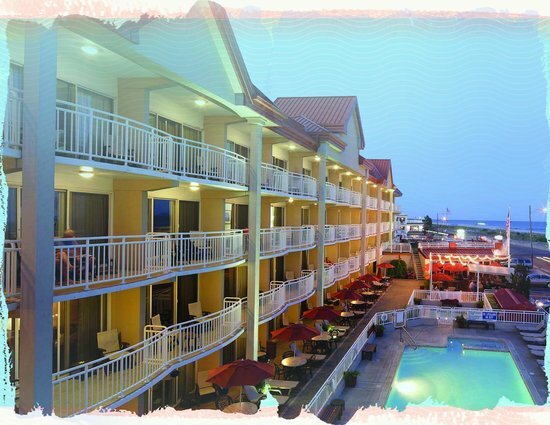 The Montreal Beach Resort remains a family-owned and operated resort in Cape May, New Jersey, and celebrated its 50th season on the Jersey Shore in 2015. Its founders, Sophie and Harry Hirsch, are no longer with us, but their legacy lives on. Harry’s portrait greets guests at the hotel’s onsite restaurant, Harry’s Ocean Bar & Grille (and he even has a slogan — “Keep Calm and Harry On”). The family’s sons, Joseph and Larry, now run the resort, with their grandson Jonathan managing the restaurant and serving as the third generation to welcome guests to the hotel. As a family-run property, both first-time guests and seasoned regulars are treated like family. The oceanfront resort features beach views from nearly every room, as well as views from its sundecks, outdoor swimming pool and the two-level indoor/outdoor restaurant. While the hotel is open April through November only, it’s the summer season when it becomes its best self. Harry’s Ocean Bar & Grille opens for breakfast, lunch and dinner in May, with its second-story bar a popular place for beachgoers to unwind at the end of the day. 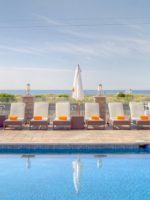 The resort’s Beach Club, which is open Memorial Day through Labor Day, provides first-class service and access to Cape May’s expansive beach, where just off the waves, kids may spot a pod of dolphins swimming in the surf. 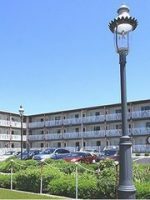 Guests of the Montreal Beach Resort also don’t need to go but steps to enjoy the best of Cape May, including a short walk or bike ride past colorful Victorian homes to the popular Washington Square promenade for more dining options and shops. It’s a gem of a property in the heart of the Jersey Shore’s gem of a town. 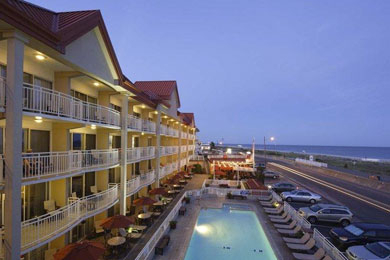 The four-story hotel offers 70 rooms, most with ocean views. First-floor rooms near the pool feature large patios with lounge chairs and umbrellas and are separated from the pool by a small grated fence. These are great options for families with kids who want to swim in the pool while parents keep an eye on them from their private space. Free Wi-Fi and flat-screen TVs are standard in all accommodations. DVD players are available at no charge by request only. Cribs and rollaway beds are available at no charge on a first-come, first-served basis. Of the hotel's most standard rooms, each has either two queen beds or one king bed with a sofa bed. The Breezeway Room is one of the limited rooms without ocean views and without a balcony, while the other Standard Rooms offer views and balconies. The rooms feature flat-screen TVs, free Wi-Fi, mini-fridges and coffeemakers, and can accommodate up to four people. 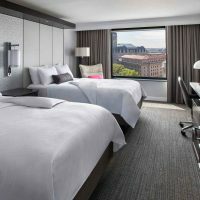 Larger families wanting more room to spread out will appreciate the hotel's two-room suites, with a queen bed, two double beds or two queen beds. The suites feature separate bedrooms at the entrance to the room with a dividing pocket door that can be shut to separate the kitchenette, bathroom and living area, which features a full sofa bed. Note: One word of caution about these rooms is the hotel doors do not have a high lock; if you put your children to bed in the bedroom and close the pocket door for privacy, they can open the door and leave the room. These suites provide kitchenettes with full refrigerators, microwaves, a two-burner stove, dinnerware, flatware and glassware. The rooms also feature a small table for dining in the living space, as well as balcony seating. One special room at the hotel is its Meridian Suite, which features a spa-styled bathroom with a waterfall shower. This special suite has one queen bedroom and a living room, but no kitchen. However, it does feature an oversized balcony and panoramic views of the ocean from three sides. We spent a night at the Montreal during the off-season, so some of the amenities were not available. The room was very nice, pretty decently sized with a king size bed and balcony with an ocean view (well, kind of - the second floor doesn't have a great view of the beach). The bed wasn't as firm as I like, but that's just personal preference. The beach is right across the street, so if you're going for that, it's a great choice. Downtown Cape May is a bit of a walk, which wasn't a big problem in April, but in the middle of summer it might be taxing. We only had a couple minor complaints, like the sad little vending machines that don't take credit cards. The resort was BEAUTIFUL and we'll maintained. Our view of the ocean was absolutely perfect. The free breakfast was a nice surprise too. We will definitely be going back and hopefully be able to stay longer next year. The Montreal Beach Club features a heated, outdoor swimming pool with a small sundeck. A larger sundeck is available on the second story overlooking the ocean, and serves as a great spot to sit in a rocking chair and watch the sunrise or sunset. From Memorial Day through Labor Day, the Montreal Beach Club provides beach service to all guests. The exclusive club features private cabanas, umbrellas, beach chairs and beach attendants, plus food and beverage service. Beach tags are required of all Cape May beachgoers from Memorial Day through Labor Day. Tags are available at the hotel's lobby for a refundable charge of $30 (credited back when the tags are returned). Bicycle rentals are located within steps of the hotel at Shields Bike Rentals on Guerry Street and Village Bike Shop on Lafayette Street. A bicycle rack is available to guests who rent or bring their own bicycles. The hotel's onsite restaurant, Harry's Ocean Bar & Grille, features indoor and outdoor spaces with a second story open-air bar, which is open seasonally. The bar area can become lively on weekend nights, and sometimes offers live music. The restaurant serves breakfast, lunch and dinner daily, and will deliver food to your room. The extensive menu is filled with traditional ocean side menu items, such as shrimp, calamari and other seafood. A kids' menu provides more basic options like hot dogs and pasta, but the kids will love most of the dishes on the regular menus, as well. With rooms that offer kitchenettes, guests can stock up on items to cook in the room (or reheat leftovers from Harry's; the portions are large!). Outdoor grills are available to guests from 10 a.m. to 9 p.m.
A fitness center with a sauna is available on the hotel's second floor. Coin-operated laundry facilities are located on the first floor and are available for guest use from 8 a.m. to 11 p.m. daily. Free parking is available at the hotel for one car per room. For guests who arrive before check-in or who want to stay past check-out, guest showers and changing areas are available near the pool until 6 p.m. The resort is open seasonally and is not available from December through March. 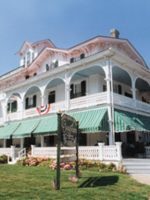 The best rates can be found during the spring and fall months, but the best time to enjoy the perks of the resort and Cape May is during the summer season. Cape May is famously known as Exit 0, as it is located at the end of the Garden State Parkway in New Jersey. Although Cape May has a small airport, it is used by those with private charters. 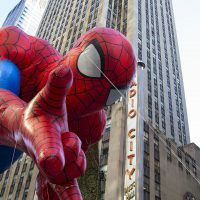 The nearest airport is Atlantic City International Airport (45 minutes) or Philadelphia International Airport (about 90 minutes). 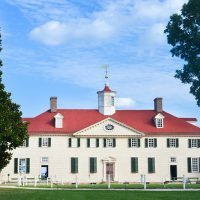 Most visitors arrive by car, and the area is about three hours from Baltimore and four hours from New York City. Many people who visit elect to rent bicycles to get around Cape May, as traffic in the peak months can be busy and parking difficult to find. However, walking is also an option if heading to local shops and restaurants near the hotel. 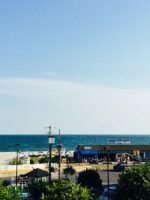 The Cape May-Lewes Ferry is an 80-minute ride across the Delaware Bay for those interested in visiting Rehoboth Beach and other spots in Delaware. 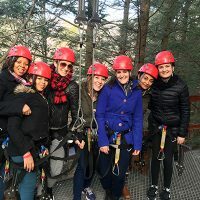 Not just for mom and dad to enjoy, bring the kids and enjoy the day trip as a family.